There’s no question that AI-driven product recommendations can drive revenue for ecommerce stores, however they can also add huge value when it comes to customer loyalty. Research shows that customers who click on a recommended product have a 70% higher purchase rate than those that don’t. Customers who add recommended products to their carts and/or purchase in the initial session have also been proven to purchase significantly more items, and have 33% higher average order values. That’s why we’re so excited to be launching our new integration with LimeSpot, allowing customers to add bonus point incentives to AI-driven product recommendations and turn more shoppers into buyers. 80% of customers say that they are more likely to do business with companies that offer them personalised experiences. By their very nature, product recommendations drive greater personalisation, making customers feel that you know them and understand their behaviours. One of the greatest benefits of a loyalty program is the opportunity to demonstrate that you know and value each customer as more than just another number in your database. Combining product recommendations with bonus point promotions relevant to individual customers allows you to show that you recognise customers as individuals, giving them more incentive to remain loyal to your brand. Each time a customer engages with your site, you learn a little more about them. This is equally true of product recommendations, which give you still more opportunities to collect and understand data on customer behaviour. By A/B testing different combinations of bonus point offers and recommendation boxes you can find out what works and optimise customer experiences to drive maximum engagement. By combining bonus point promotions with everything from simple targeted product recommendation boxes, to upsell and cross-sell messages you can find out at what point customers are most likely to engage with both recommendations and your loyalty program, optimising accordingly to drive future interaction and spend. 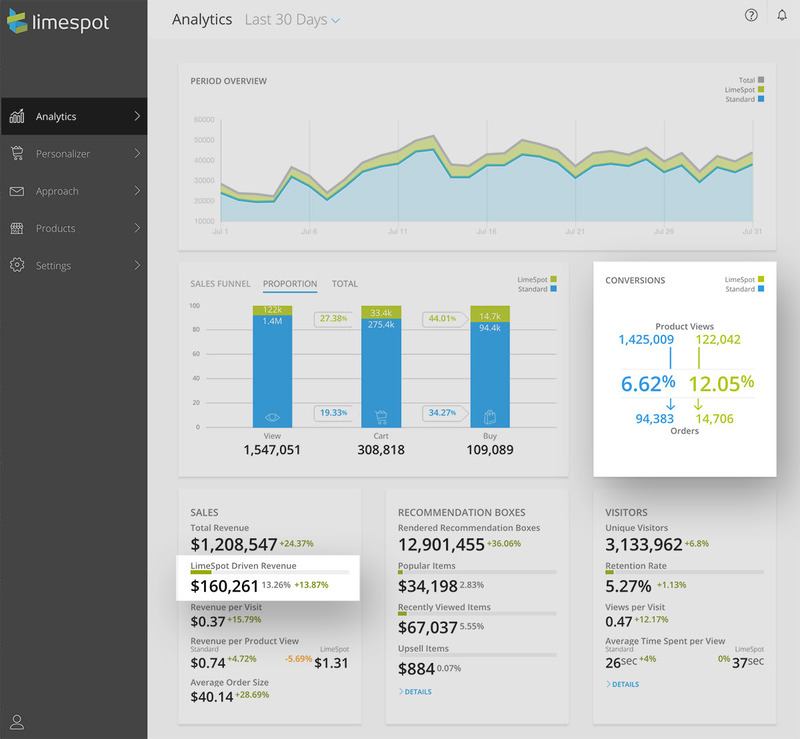 Find out more about setting up A/B testing in LimeSpot. The key to customer loyalty is giving shoppers reasons to return time and time again. Product recommendations are proven to generate more valuable return visits, as customers who click on a recommended product are 20% more likely to return for a follow-up session, and 55% more likely to make a repeat purchase in a return session. Because customers have received a relevant and personalised experience on their first visit, they are more likely to return and engage in future. This makes product recommendations a key building block in securing repeat site visits and future engagement with your brand and loyalty program. To find out more about how you can use product recommendations and bonus point promotions together with LoyaltyLion and LimeSpot at no cost, book a demo with one of our team or visit our Knowledge Base . You can also learn more about delivering personalised loyalty experiences over on the LoyaltyLion Academy.